My second post in the Sea-Floor Sunday series used a couple images using the GeoMapApp freeware. This is a great tool for visualizing our planet’s bathymetry. 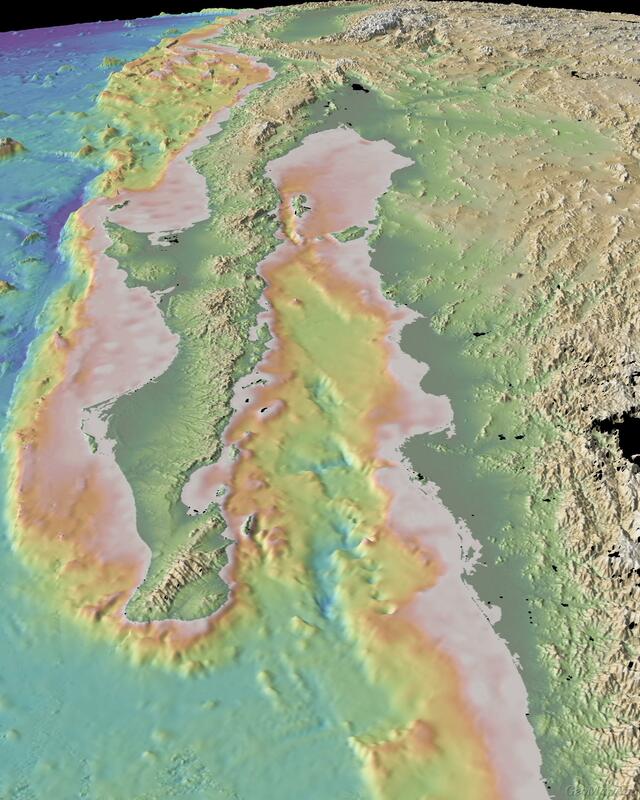 Today’s image is a very nice perspective bathymetric image of the Gulf of California region. I didn’t make this image, it is featured on GeoMapApp’s gallery page (you can find it and more here). We are looking north with western North America on the right and the Pacific Ocean on the left. The bathymetry in the southern part of the Gulf of California beautifully shows the transition from the East Pacific Rise divergent plate boundary to the south (below the image) to the transform margin of the San Andreas system to the north, which runs right up the axis of the gulf.